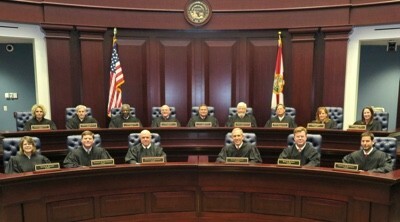 A Board of Psychology did not err in choosing to revoke a psychologist’s license once it learned that a conditional indefinite suspension, with jurisdiction to revoke, was not possible, the District Court of Appeal of Florida held June 6 (William Kale, Ph.D. v. Department of Health). The board hoped to retain jurisdiction to revoke the license of psychologist William Kane if Kane’s underlying criminal conviction for health care fraud was not overturned on appeal. But the state Attorney General’s office said the statute did not allow this, so the board followed the prosecuting attorney’s recommendation for revocation and a $10,000 fine, plus costs. Kane, who was convicted in 2013 of two counts of health care fraud, argued that the board counsel’s advice was incorrect. But the court, in affirming the action, held the disciplinary statute for health professionals listed suspension and revocation as alternate penalties to each other. Nothing in the statute suggested the board could suspend and then up the penalty to a revocation later. Citing the need for finality in administrative actions, the court said the board had the option of revisiting the penalty if there were a material change in circumstances that warranted it. If Kane’s conviction is overturned, he may petition the board to vacate its final order, the court added. © 2015 Professional Licensing Report, published by ProForum, a non-profit research group, www.plrnet.org. Reprinted by permission. Next PostTraditional licensing: Storm clouds ahead?